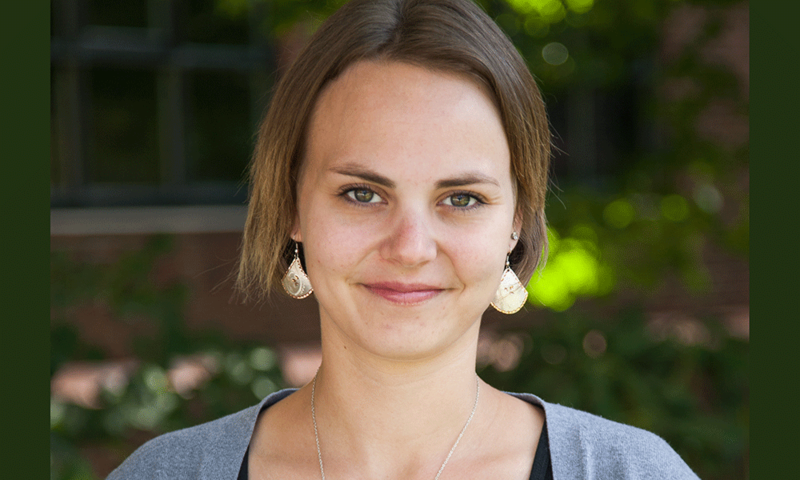 MCO graduate student Christina Saak of the Gibbs Lab loves to teach. The international student from Germany applied to Harvard on a whim, never expecting to be accepted, and certainly not expecting to discover her passion while working on extracurricular and outreach programs for undergraduate and high school students. Her own unexpected road to Harvard inspired her to reach out and help students in similar situations, who may not have seriously considered a career in Cambridge. It was in her second year at Harvard that Saak helped develop a peer mentoring network as part of the Summer Research Opportunities at Harvard (SROH) outreach program. MCO’s branch of the SROH program invites six to nine undergraduates from schools across the U.S., with an emphasis on students from diverse backgrounds. These student scientists work as interns for a ten week stint in MCB labs, getting a feel for what life would be like as a graduate student in their chosen fields. The mentoring program was implemented in 2013, and returned almost immediate positive results with three of the interns from the 2013 SROH group ending up at MCO. Although the peer mentoring program was a success, it was in the Life Sciences Outreach Program that Saak found her calling. Since 2015 Saak has helped run PCR labs for visiting high school students, and in return, the program has helped her solidify her own career goals. She knew she wanted to teach, but before LS Outreach she had not decided between teaching at the college or high school level. The PCR labs are organized to get the students right in on the action, while still giving Saak and the other graduate students the chance to impart their love for science on the visiting high schoolers. Upon arriving at Science Center teaching labs, the students immediately swab their cheeks for cells and are shown how to set up the PCR for DNA fingerprinting, which must then run for about an hour. This gives the MCO students a chance to describe their own paths to science, emphasizing that not everyone took the same route.